Are Millennials Fed Up With New York City Rent? Millennials make up 24.8 percent of households in NYC but also made up 51.2 percent of the households leaving the city in 2014. Across the nation, millennials accounted for the largest share of out-migration in 2014 at 51.1 percent. Queens was a viable alternative, but Long Island City and Astoria now feature quickly rising rent values. If a millennial has the funds to purchase a home, now would be the time to benefit from low interest mortgage rates. If you can make it in New York City, you can make it anywhere — right? Well, according to a recent Trulia study, most millennials aren’t bothering to find out. Rising rents have led to an escalating concern called out-migration, where low-income residents — including millennials — are forced to leave their locales in search for more affordable places to live. Millennials make up 24.8 percent of households in NYC but also made up 51.2 percent of the households leaving the city in 2014. The move-away rate relative to expectation in NYC is 106.4 percent, the fourth highest in the nation behind Silver Spring, Maryland and Orange County and Oakland in California. In NYC, millennials make up 24.8 percent of households. Across the nation, millennials accounted for the largest share of out-migration in 2014 at 51.1 percent. The move-away rate relative to expectation in the U.S. was highest for 18 to 34 years olds out of all age groups at 105.6 percent. Once upon a time, there were options for apartments in NYC beyond Manhattan. If prices were too expensive in Midtown, residents could move to Brooklyn. Brooklyn prices boomed in response to the demand. 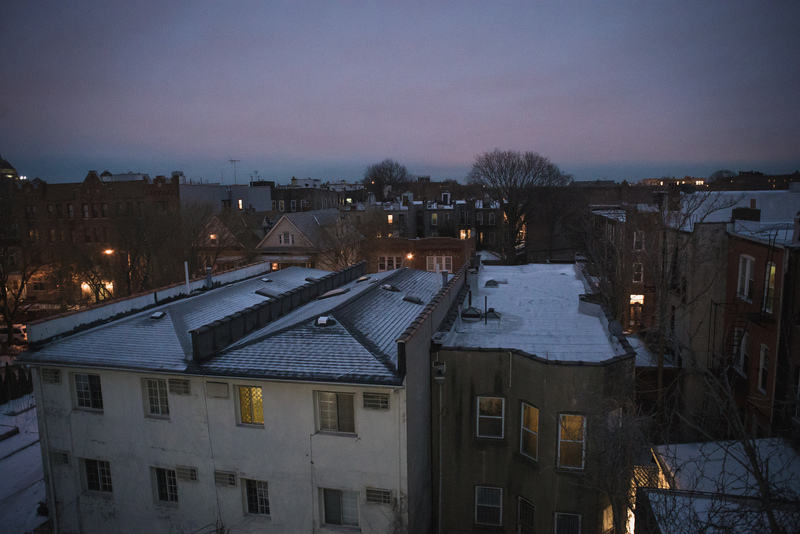 Take Prospect Lefferts Gardens, for example: The median monthly rent in April of 2014 was $1,726 per month. This April, the median monthly rent was $2,382 per month. Brooklynites sought decently priced units elsewhere with lifestyle accommodations and growing development. Queens was a viable alternative, especially given the easy access to Manhattan and booming development. However, prices in Long Island City and Astoria, two of Queens’ most thriving neighborhoods, now feature rising rent values. Even Rego Park, where the median monthly rent was $1,851 in April of 2014, reached $2,270 last month and is noticed as a new hotspot for young professionals. Of course, prices coincide with neighborhood amenities and increasing demand, but millennials are less likely to retreat to the suburbs as they are to reconsider a different city altogether. Could millennials afford to buy? Fortunately, if a millennial has the funds to purchase a home, now would be the time to benefit from low interest mortgage rates, and start the home search in NYC. But assuming he or she rented in the Big Apple for an extended period and might hold student loans, buying a home may be a pipe dream. For millennials who can afford to buy, NYC presents affordable options, although the definition of reasonable is more relative to local market prices. Rego Park, for instance, has a median home price of $319,168, up from $300,523 last April. The median square footage in Rego Park is 866 and the median list price per square foot is $376. Those stuck living in Manhattan might consider Washington Heights, which is as close to budget-friendly as possible without escaping the confines of the borough, with a median price tag of $481,484 in April. The median square footage in Washington Heights is 870 square feet, and the price per square foot is a steep $583. For Brooklyn lovers, East New York offers a median price tag of $378,081 and a large median square footage of 1,402. The price per square foot is also comparatively low at $269. Perhaps millennials aren’t considering the full scope — or maybe they already have. Regardless, there seems to be an ever-present issue at hand, and whether or not an influx of new, young grads hoping to jumpstart their careers can fill the gaps remains to be seen.